Awesome Toast! | hfs hfs – Awesome Toast! So when a new version of any OS comes out, I like to do a clean install. On Macs, this has usually been fairly easy, since HFS+ partitions are pretty flexible — they’ll let you add/remove/resize without a lot of hassle. In the past, I’ve made a new partition on my drive, installed the new OS X (like Mavericks), copied all my files from the old partition to the new one. Once I’m sure that all is fine and dandy, I will go back and delete the older partition and give the space to the new one. But when I tried this with 10.10 Yosemite, I ran into a new problem. Partitions were no longer flexible. I couldn’t delete or resize any of them. I found this out after spending a full day getting the new Yosemite partition just right. 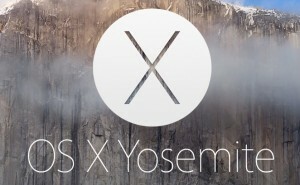 Some research found that Yosemite will change its partition from HFS+ to “Core Storage”. (According to Ars Technica, there’s not a clear reason why, either.) I’m not sure of all the technical details, but this apparently killed flexibility. So my new Yosemite install was stuck on a partition with only 10GB of free space, when it could have had 400 from the old Mavericks partition. It wouldn’t even let me delete the Mavericks partition. Everything was locked. This is not destructive. You won’t lose anything. 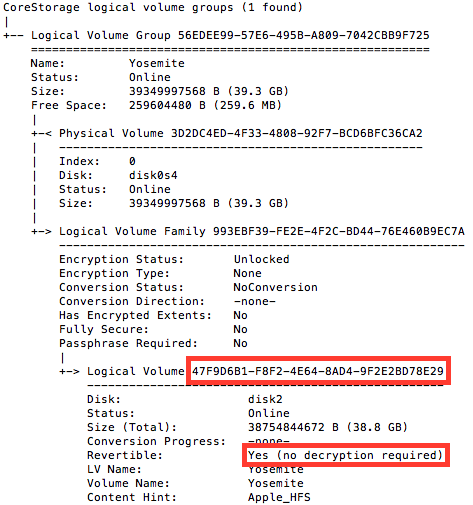 This only works if you have not encrypted the partition with FileVault. Thanks to BrettApple at the MacRumors forum for this. The results should be quick. Only seconds. Once that was finished, I was able to delete the Mavericks partition and resize my new Yosemite partition to fill all available space. For more details, check out this forum thread on MacRumors. In particular, post #38. The first terminal command, diskutil cs list will only work if you actually have a CoreStorage partition. You can run this while booted into the Yosemite partition in question. No need to boot the recovery partition or anything. As I understand it, Apple’s Fusion Drives require Core Storage so this won’t work on those.